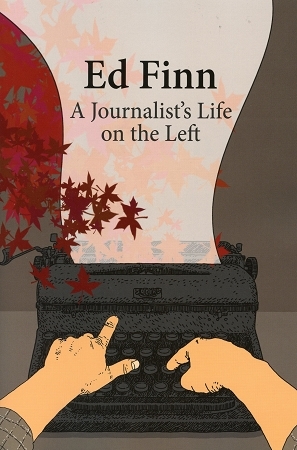 A Journalist s Life on the Left Born in Spaniard s Bay, Newfoundland, in 1926, Ed Finn grew up in Corner Brook, where he later became first a printer s apprentice, then a reporter, columnist, and editor of that city s daily newspaper, the Western Star. His long career as a journalist later included two years as a reporter with the Montreal Gazette and 14 years as a labour relations columnist for the Toronto Star. During his four-year fling in politics in Newfoundland (1959 to 1962), he served as the first provincial leader of the NDP and ran as NDP candidate in two provincial and two federal elections. He worked closely with Tommy Douglas for some years and helped defend and promote his pioneering Medicare legislation in Saskatchewan. During the 1960s, 70s, and 80s, he did communications work for labour unions, including the Canadian Union of Public Employees, and served for three years on the board of directors of the Bank of Canada. His 70-plus years in journalism culminated with the Canadian Centre for Policy Alternatives, where he has been editor of the monthly CCPA Monitor journal since 1994 To some extent, he writes in the Preface to these memoirs, my account of all these experiences may prove readable.